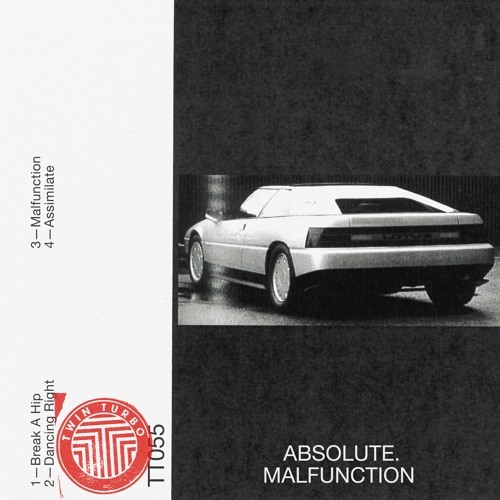 @absolute-sounds - 'Malfunction' EP out now on Twin Turbo: TurboRec.lnk.to/Malfunction The man DJ Mag called “Absolutely Unstoppable” and Superfluous Punctuation Magazine called “Worth the Trouble” is back with four dark techno bombs that promise to extend his reign as Tiga’s new best friend for another week at least. It is difficult to look at ABSOLUTE’s rockin’ rocket ride of a career with anything less than total admiration. This guy’s got all the right moves, plus the Beatport numbers to back it up in court. The follow-up to his hit Twin Turbo debut, Malfunction conjures vintage late-night smoke machine vibes with considerably less effort than it takes to describe them for promotional purposes.